So I have been on the hunt for a good cleansing oil to remove my makeup prior to cleansing my face with another face wash. I decided to try the lower end of the spectrum first with Burt's Bees Cleansing Oil. Burt's Bees is a cruelty free and drugstore product which means it is more affordable for those who cannot spend money on a more expensive product such as Tacha's Cleansing Oil or Tata Harper. I wish to try both of these products but a cheaper alternative would be a great option. For one it states its for dry skin types and I am a combination skin type. Nonetheless, I decided to give it a try anyways. Who's to say it wouldn't work on other skin types other than dry right? I guess that could be a reason this product did not work out for me but there are also several others. The idea is that oil attracts oil and therefore I am thinking a cleansing oil will be perfect for my oily T-zone. To not only cleanse my face but to add moisture as well. An aspect of this cleansing oil I enjoyed was that after I finished removing it, with some warm water and a cleaning cloth, the oil left my skin feeling more hydrated than before which is a plus of course. 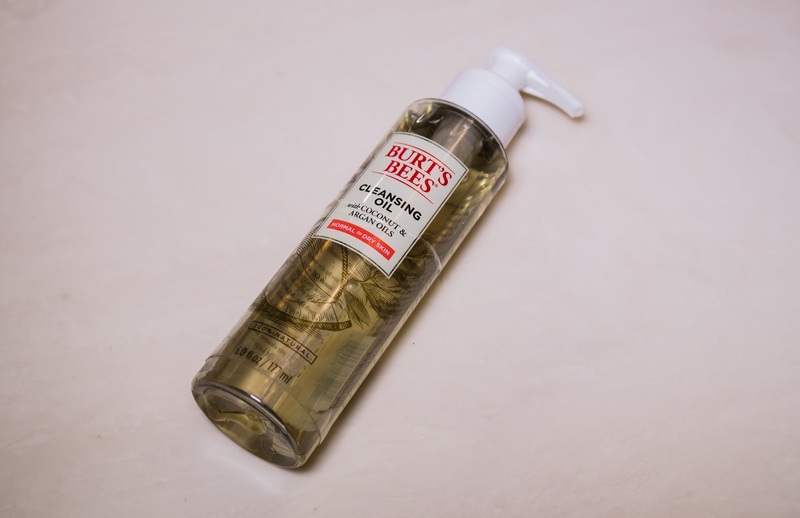 Though at first it left a slight oily residue on my face, Burt's Bees Cleansing Oil did eventually absorb into the skin. The main reason I would not repurchase this cleanser is because it irritated and stung my eyes. Now of course, I know that you are not supposed to put this in your eyes but it is unavoidable when I am trying to remove eye makeup. I would not recommend this to anyone who has sensitive eyes. Also, no matter how well I massaged around my eyes, there was always mascara residue left on my face which would move around with the oils left after I finished rinsing my makeup off. The main test for any cleansing oil, face wash, or cleansing cloth I try is when I go to remove my eye makeup. No one wants to look up into the mirror after cleansing there face to find they have two black eyes. I would like to find a cleanser that washes everything off thoroughly and easily. If any of you have tried this product I would like to know your opinions and I hope you all have a great week. Personally I use Garnier micellar water and it does a great job!